Last week Matt McDonough was over in Hungary representing the United States, where he eventually won his first medal at the World University Championships. After opening the tournament with a 16-6 technical fall, he ran into FILA’s #4 ranked Fumitaka Morishita of Japan, where he lost 10-7. After making the bronze medal match, he dismantled Petro Bileichuk of Ukraine 12-2 to earn that first medal in international competition. Matt was kind enough to give us some time to answer some questions about representing the United States, and his freestyle career to this point. You had some pretty good showings at 61 KG, do you plan on going back up there, or are you 57 KG for good? I think the time at 61 KG was beneficial to me and helped me take a break from the weight control side of things but now that I have made my return to 57 KG that’s where I plan to be. Your aggressive style and great conditioning, have really helped you transition well to international rules. What sort of things are you working on now in the room to get better? Well when you are a more aggressive wrestler sometimes you forget to keep an equal focus on your defensive skill sets, so I am working very hard to refine my counter offensive wrestling and defensive skills. 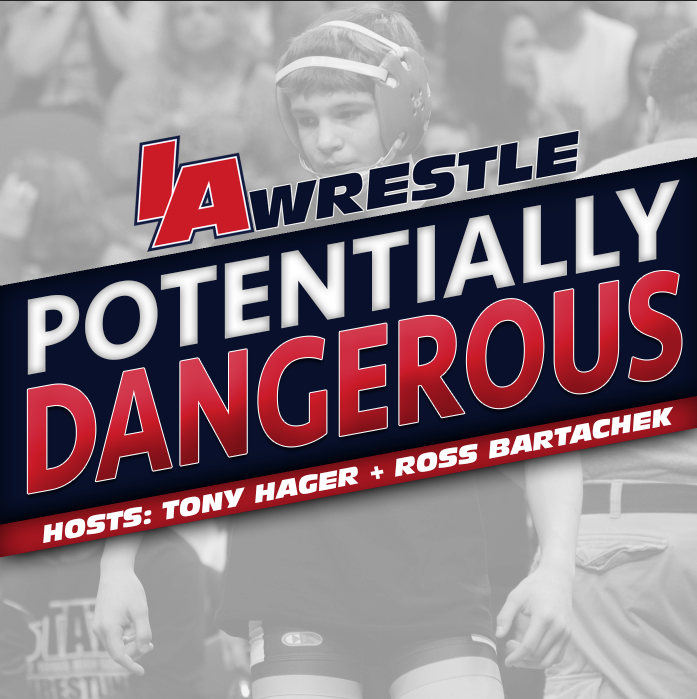 Attack Attack Attack is the Iowa Style, but to be the best in the WORLD at that we still have to put 100% emphasis on being stingy wrestlers as well! Training with two other 57 KG World Members is a great perk of being in the Iowa room, talk about how those guys, and Terry and Tom push and make you a better wrestler. The competition in the wrestling room is truly the best in the country in my opinion at the 57 KG weight area. When you have 2 or 3 or 4+ wrestlers who are all vying for international and collegiate success it creates a natural sense of forward progress in the room for everyone involved. 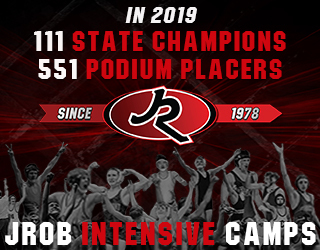 That paired with the excellent training and relationship with my coaches Tom and Terry Brands and Coach Mike Duroe has really helped me to take my wrestling to a new level and challenged me to be the best I can be! You lost a tough match to FILA’s #4 ranked wrestler at Universities, is there anything you would do differently now looking back at that match? Yes, there are always things to do differently when you lose a match. Number 1: I have to throw my legs back and not let my opponent even sniff my legs. Number 2: for a short period I had a lead. And I think I can do a better job building on my lead to take the match out of hand for my opponent. Number 3: In tough matches like that you have to make adjustments as the match goes on and I feel I could have done a better job adjusting to his crackdown position and crotch lifting 100% in my favor. Right now I am focused on helping my teammates prepare for the World Championships in September. 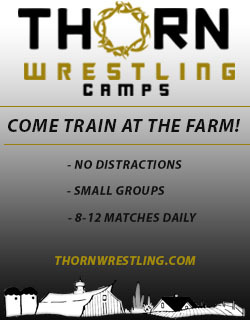 We have a national team training camp Aug. 10-22. Other than that I am always working to refine my wrestling and sharpen the areas I need to be on the top of the stand in Las Vegas 2015! 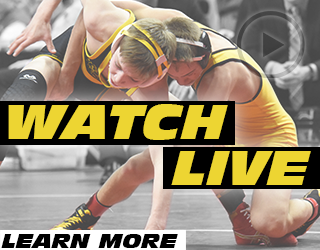 If you would like to support McDonough and the other Hawkeye Wrestling Club member (like Keddy, Metcalf, Ramos, and Burak) you can follow this link and do so. Also, note that at certain amounts you receive sweet little kickbacks (like a HWC t-shirt at $250, and one of those sweet Klim coats at $2500), but every dollar helps – even if you just do $1, it adds up. Or you can reach out to Matt personally on Twitter (@McDominate16) and notify him you are interested in one of his awesome McDominate shirts – $25 – mine will be shipping soon, so get yours too! Shirts also come in gray. Matt also let me know that he should have a website up soon, where you will be able to purchase the shirt, and eventually hats and sweatshirts! Thanks again to Matt for giving us time to talk about his career! Comments are encouraged below.